The PRO model from KMT Waterjet Systems' STREAMLINE SL-VI high-pressure pump series enables waterjet cutting at up to 6,200 bar. Furthermore, with a pump output of 125 HP, users can use several cutting heads – this combination of extremely high pressure and powerful motor results in the fastest waterjet cutting system in the world. However, in addition to the speed, the high cutting pressure has even more advantages in actual use. KMT talked about this with the contract-cutting company Innocut Solution Schäfer GmbH (KMT's former contract cutting department) in Bad Nauheim, Hessen. 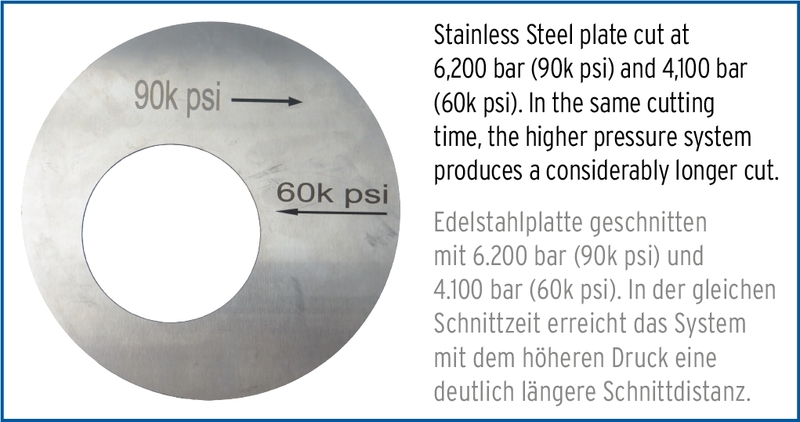 Waterjet cutting at 6,200 bar has many advantages – the most obvious is probably the higher cutting speed compared to conventional 4,000 bar applications: Depending on the material, the speed can be increased by up to 50% or even more. However, that is not the only advantage that results from the use of extremely high pressure. A STREAMLINE PRO high-pressure pump with 125 HP has been in operation for several years in the contract-cutting company Innocut Solution Schäfer GmbH in Bad Nauheim, Hessen. Jochen Schäfer, owner and managing director of the company, doesn't want to do without it: "Purchasing the pump was absolutely worth it. There are orders that we otherwise would never get. 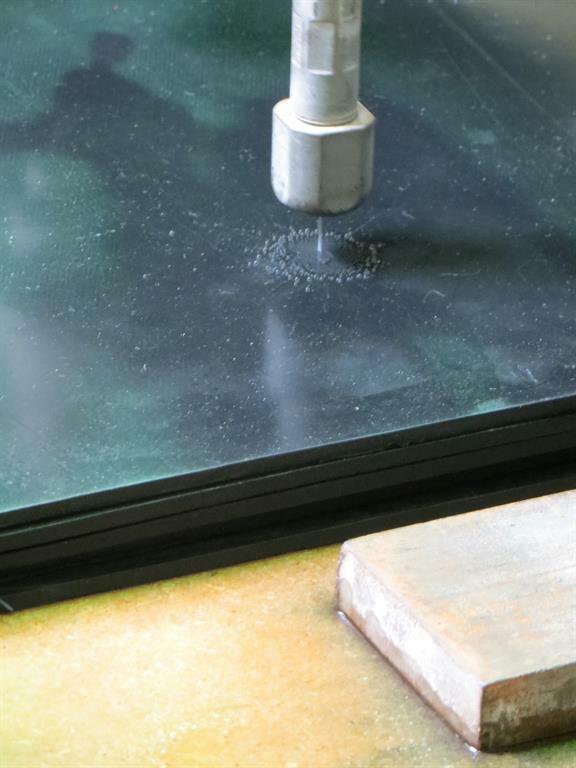 For example, we cut 5 mm thin aluminium in 3-4 layers in continuous operation at 5,300 bar – with a 4,000 bar pump, which we run in continuous operation with 3,600 bar, this would only be possible to a limited extent. For us this means a speed increase of 50% compared to the smaller pump. We got this order first of all, because we must make smooth cuts – the material must not get hot, otherwise it will bend. We regularly cut irregular contours; if there is heat input, material distortion is possible and that must not happen. There were also considerations of outsourcing the order to a foreign company, but our 125 HP pump allowed us to use four cutting heads at 5,300 bar. Through this we are competitive with low labour cost countries and can keep production in Germany." Innocut Solution has three cutting tables, of which two are equipped with conventional 4,000 bar pumps and one is driven with the STREAMLINE PRO 125 pump from KMT. This of course creates a certain flexibility and also points out the efficiency of the PRO pump. 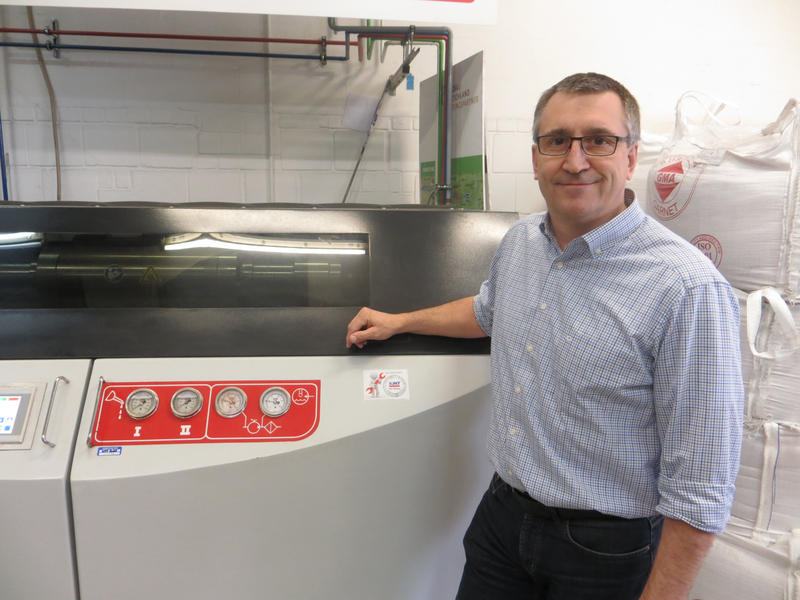 Schäfer comments on this: "We use the 6,000 bar machine for many different orders. Since we have available one cutting table with a 4,000 bar pump and one with a 6,000 bar pump, we can directly compare them: Here practice shows that the piece costs with 6,000 bar are around 15-20% less expensive." Despite the universal applicability of the technology, there are, of course, cases of use for which the extremely high pressure especially pays off – here the key message is that the thicker the material, the greater the advantage. Jochen Schäfer can also confirm this: "In continuous operation the pump runs at 5,300 bar, but when it is necessary, for example in single-piece production or especially with thick materials, we of course increase the pressure. In this way we achieve a higher speed but also higher quality – the cutting edge quality increases significantly, especially with thick materials, since the distortion of the cut starts 20-30% later." 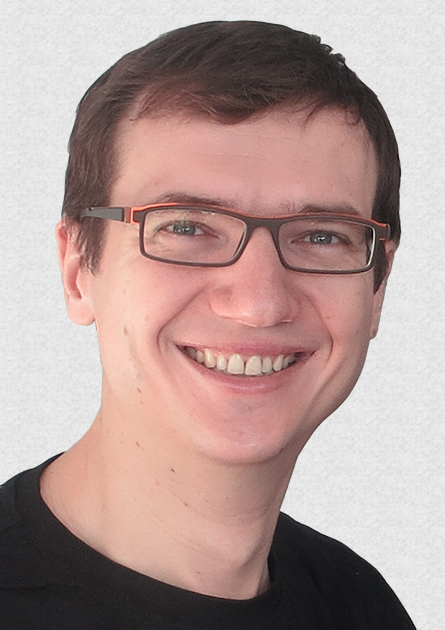 For most applications it does actually depend on the cutting speed – and there the combination of high pressure with strong motor power is unbeatable, according to Jochen Schäfer: "Concerning the costs, the 6,000 bar is superior to the 4,000 bar: The speed increase is 40-70% depending on the material. Of this 40% is the norm, but there are also materials which reach up to 70%, as for example in the rubber area: for thick or multi-layer rubber there are significant advantages. Here we distribute the pressure onto up to 8 jets with our 125 PS pump, and, of course, that is unbeatable." Production reliability and planned production times are important criteria for a successful company in the manufacturing industry – ultimately unexpected downtimes of production lines can lead to losses in sales and in the worst case to missed deadlines and disgruntled customers. Of course that also applies to the operation of waterjet cutting systems. Special attention should be made here to high-pressure pumps. 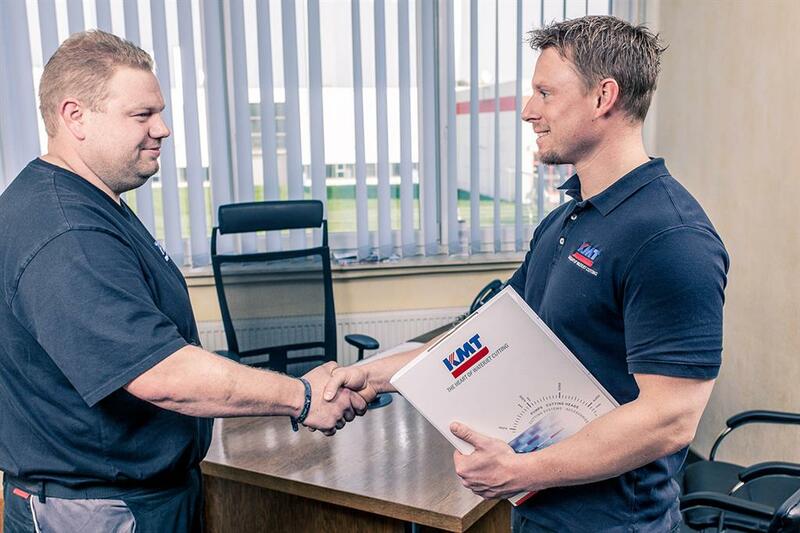 To ensure the reliability of their operation, KMT Waterjet Systems offers a broad package of various services – from comprehensive service to fundamental basic inspection. To guarantee planned costs and service times for their customers, KMT Waterjet Systems offers a broad spectrum of different service contracts for the service and repair of KMT high-pressure pumps for waterjet cutting. These range from basic inspection agreements for regular check-ups of the pump up to comprehensive service contracts, which include all preventative measures to guarantee reliable and long-term functioning of the high-pressure pump. These contracts can be individually adapted to the requirements of each customer – ultimately the operational performance of each pump must be taken into account for all necessary measures – and the option exists to additionally book assembly-based service modules at a fixed price. This option gives the users control over the anticipated costs and service times. To determine the best service option for each individual case there is a wide international network of KMT Sales and Service branch offices available for those interested. This means that customers can often reach a sales representative or service technician that speaks their language. This makes communication easier and the service and repair more efficient.